Q: Is Polycarbonate Easy to Install? The hallmark of polycarbonate glazing systems is their ease of installation, especially compared with other glazing products like heavy IGU’s (Insulated Glazing Units). Successful installation of polycarbonate systems have been completed by a wide range of tradespeople. With few exceptions, minimal experience and common installation tools are all that are needed. For most types of installation, the job is relatively smooth and painless. Polycarbonate daylighting systems often are installed by glaziers but can also be installed by other skilled trades people, roofers, carpenters or even general contractors. Often, specialty contractors manage the most complex installations, usually involving skylights and some complex canopies. In general, polycarbonate glazing systems install much faster than Fiberglass Reinforced Plastic (FRP) or glass systems of equivalent size and application. The installation is simpler because translucent polycarbonate panels are much lighter, easier to handle and more forgiving. In some cases they can even be field-modified if there are any issues with site conditions. An Insulated Glass Unit (IGU) based product presents little room for “on-the-fly” modification. The inability to modify glass in the field isn’t the only drawback for IGU installation. Insulated glass systems are the most difficult to install, simply because glass is heavy and unforgiving. In most installations, special lifting equipment needs to be rented and can be costly. Even with the support of glass-lifting suction cup devices, the danger of breakage still exists. Fiberglass Reinforced Plastic (FRP) systems may be easier to install compared to IGU systems but are still more difficult than translucent polycarbonate glazing systems. Because FRP systems are manufactured as sealed, non-weeped systems, ensuring these panels are watertight is most critical. FRP panels (like IGU’s) cannot be field-modified, which makes them less forgiving than polycarbonate daylighting systems. Individual panel heights are typically limited to 12 feet, so they require vertical joints on applications taller than this. 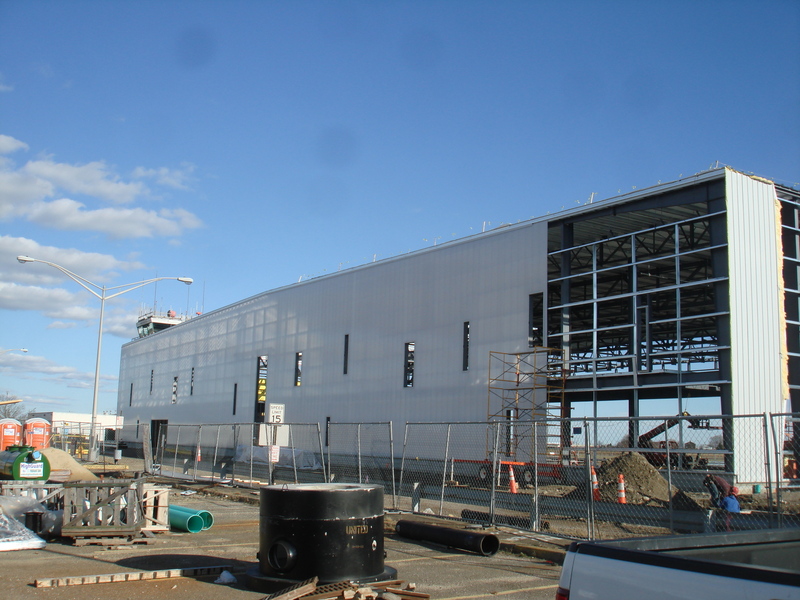 This can make FRP systems more time-consuming and leak-prone than translucent polycarbonate systems, which can offer a continuous panel up to 54 feet tall. As a leading provider of daylighting systems, EXTECH receives many questions specifically on cellular polycarbonate glazing. These questions range from the time it takes to install the systems, the cost of hiring installers/glaziers, modifications to the system on-site, etc. We understand that Architects, Facility Managers, General Contractors, and Glaziers are looking for answers relevant to their scope of work. To better address these topics, we will be publishing a series of quick, detailed, and to the point information to help YOU understand the ins and outs of Polycarbonate Daylighting Systems. 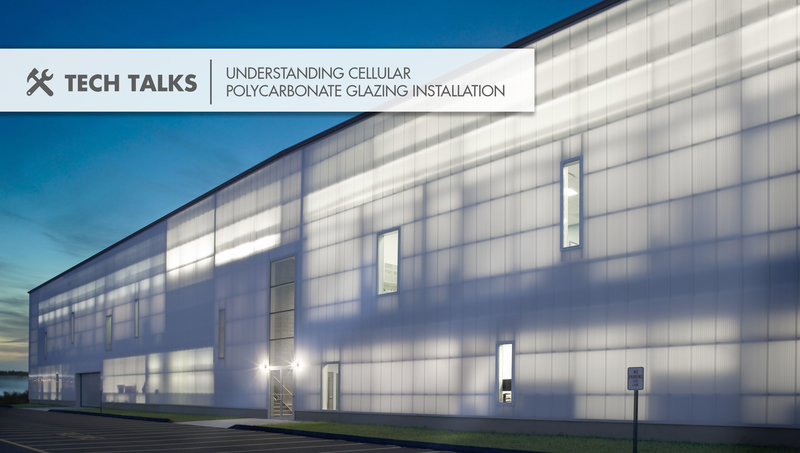 Would you like to learn more about Polycarbonate System Installations? If so you can contact us here!